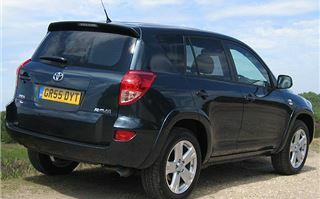 Stepping out of a Yaris and into a Toyota RAV-4 is bound to give the wrong impression. I always remembered the old RAV as the sportiest of all the SUVs. Yet this big new RAV-4 D-4D 180 felt more like a Shogun. That misconception didn’t last. 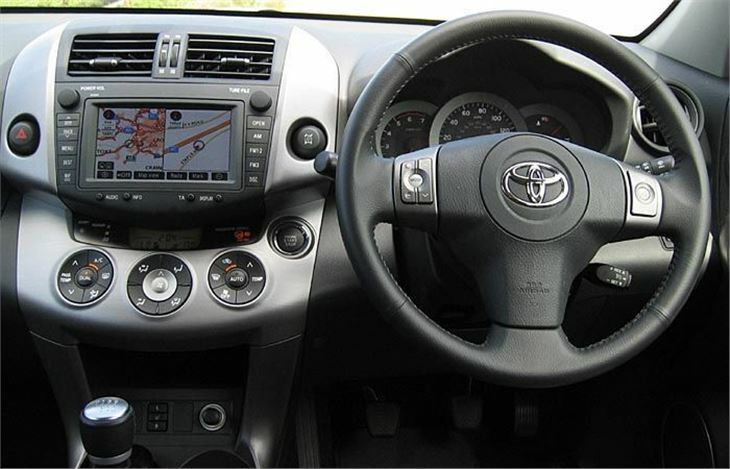 It has the same brilliant 177PS 2.2 litre diesel engine as the Avensis. Though sitting a foot or so higher, it obviously feels completely different. 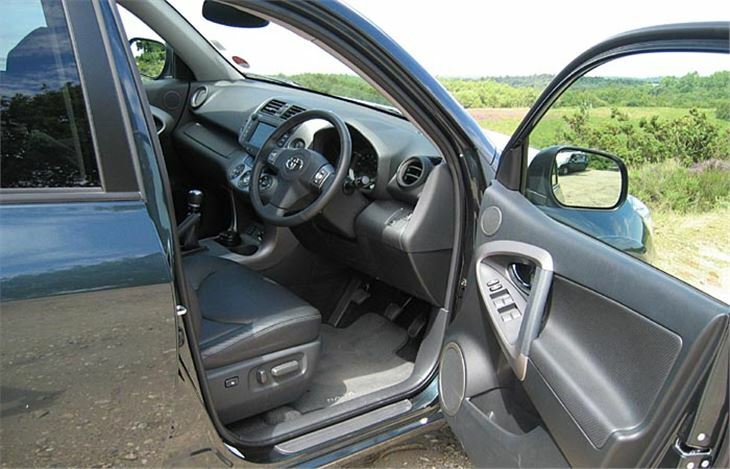 The six-speed gearshift is longer, but snickily precise. Third gear is just as useful. Yet the engine has a completely different set of sound effects. It feels extraordinarily free-revving, like some diesels can after they’ve done 300,000 miles. And the exhaust has a melodious, echoing bellow as if the tailpipe is 4” in diameter (it isn’t). 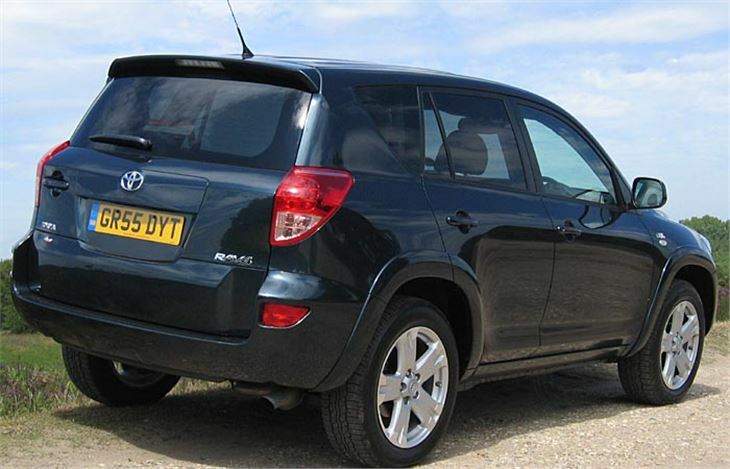 Like the Avensis, this RAV-4 can motor. After taking the usual pictures, I found an Audi A6 3.2 on my tail and, much to the driver’s surprise, easily out-accelerated it to over 100mph. Diesel 4x4s just aren’t supposed to do that sort of thing. Of course, this was only once, in the interests of science. The rest of my tenure was fairly strictly speed-limited and often in cruise control. And at the end I was very pleasantly surprised by an overall consumption of just 7.58 litres per 100km (37.25mpg in olde English). For the extra £1,200 you pay for the T180 you may be surprised to find you don’t get a spare wheel. 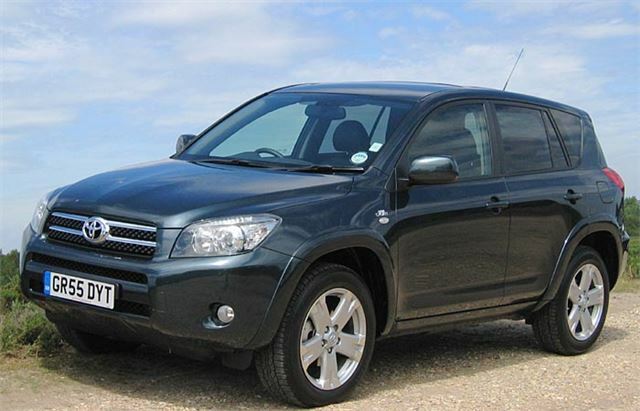 Instead you’re supplied with bigger wheels with runflat tyres and a tyre pressure monitoring system, which is excellent as a get-you-home-without-stopping measure, but not so good if you are stuck in the middle of a desert. Unfortunately a standard rear door with door mounted spare is not yet even on the factory-fitted option list. 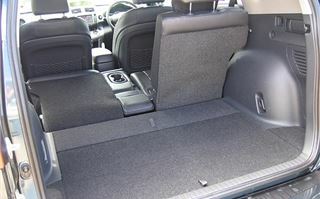 And the car seems to have lost its foldaway seats in favour of a higher, modular rear load deck with space underneath. 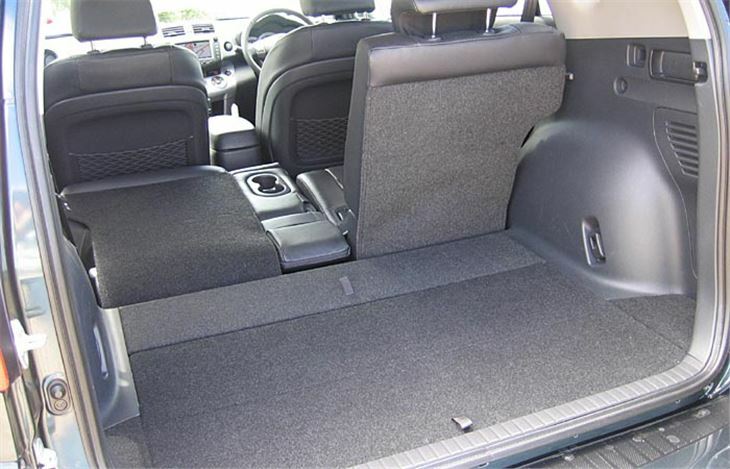 In the old RAV-4 the rear seats double-folded, leaving a clear, unobstructed floor ideal for Fido and his mates. In the new one it’s higher and it isn’t flat. Sadly there is no cute short wheelbase version, which seems extraordinarily remiss. 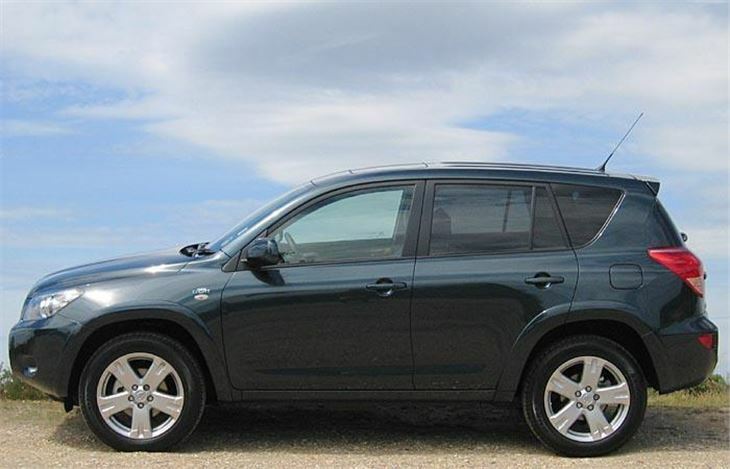 That niche of the niche seems to have been grabbed by the new 3-dr Suzuki Vitara, which looks remarkably similar to the old RAV-4 SWB. The big wheels still ride those accursed speed cushions well enough, though, as Toyota has not made the mistake of fitting them with low profile tyres. And the seats are extremely comfortable. 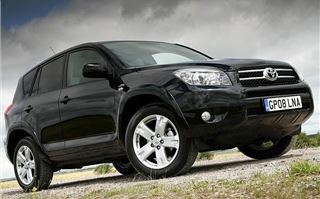 The new RAV-4 has charm, character, performance and economy. Apparently it also has Honda worried and the arch-rival is reported to be rushing a new, bigger CR-V into production to compete at the higher level set by the RAV-4. Whether Honda will be able to get its 2.2iCDTI diesel to perform as well and emit as little as Toyota’s is a different matter.